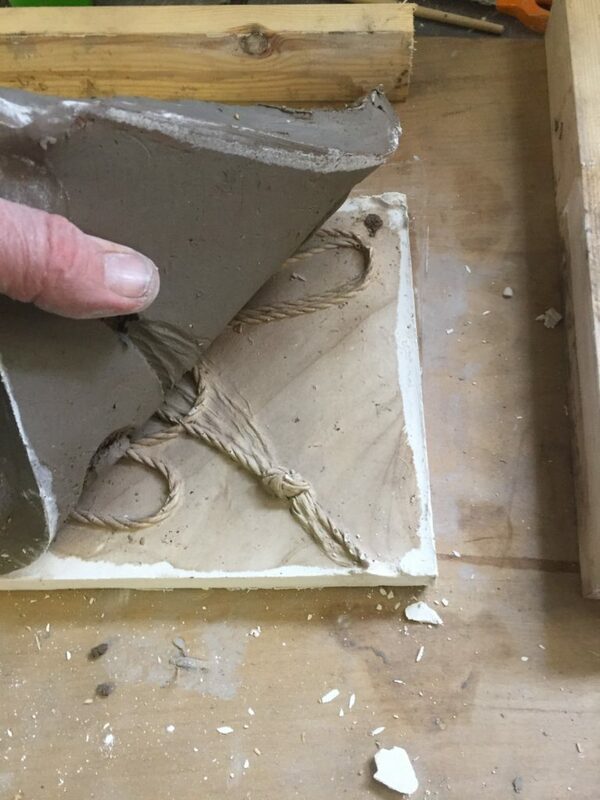 This one-day course will introduce participants to the use of clay and plaster in the production of a cast plaster tile through tutor demonstration. Participants will be instructed in the safe use and manipulation of materials and associated processes. You will be introduced to the idea of making and working with a clay tile 20-30cms square building impressions and textures or bold abstract designs into its surface. The second stage will take you through the correct and safe way to mix and pour plaster to create a more permanent reverse impression of your design which can be given a variety of finishes and could be hung on a wall. This workshop is suitable for adults who are beginners or at an intermediate level. It will appeal to those familiar with the process of printing collagraphs. Please wear closed toe shoes and old clothes or bring an apron with you. Dust masks and silicon gloves will be provided. You could bring natural and manmade textures that could make impressions in clay. Anything from leaves, twigs, bark and wood to small metal, fabric plastic elements string or wire. Please make sure surfaces are stable i.e. not loose rust or organic material which gets into the clay.